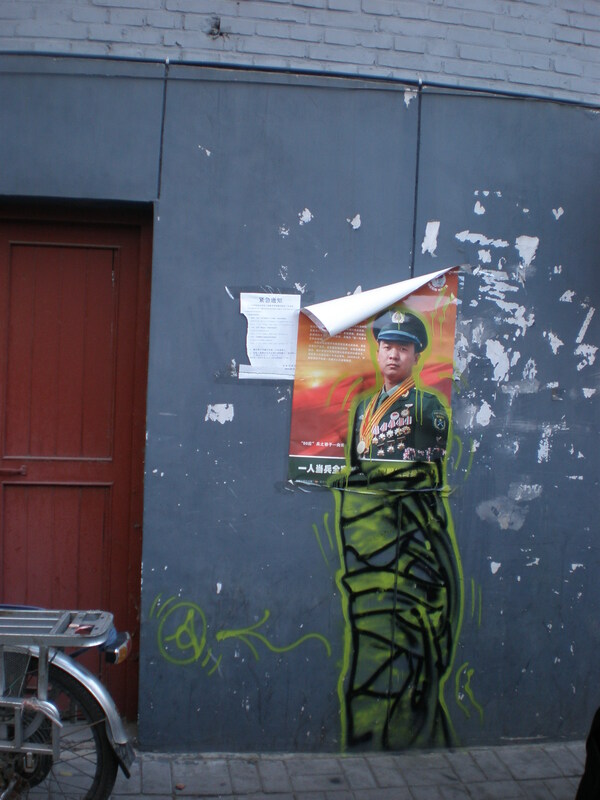 While wandering down one of Beijing’s winding alleyways, I spotted some rather cynical graffiti. 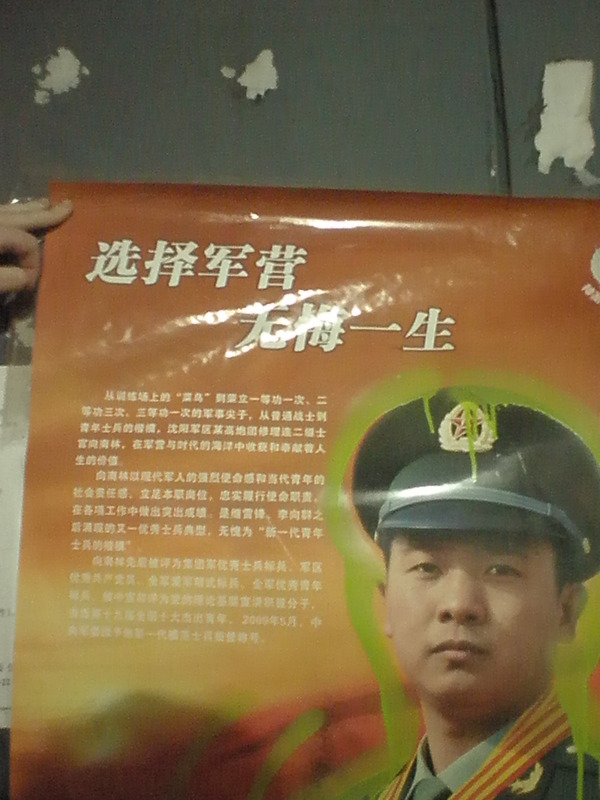 The poster was an army recruitment advert. 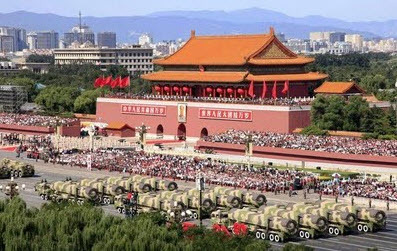 The text says, 选择军营，无悔一生 – xuanze junying, wuhui yisheng – ‘Choose the army and your life will have no regrets,’ is basically what it means. It seems like the artist wasn’t convinced. 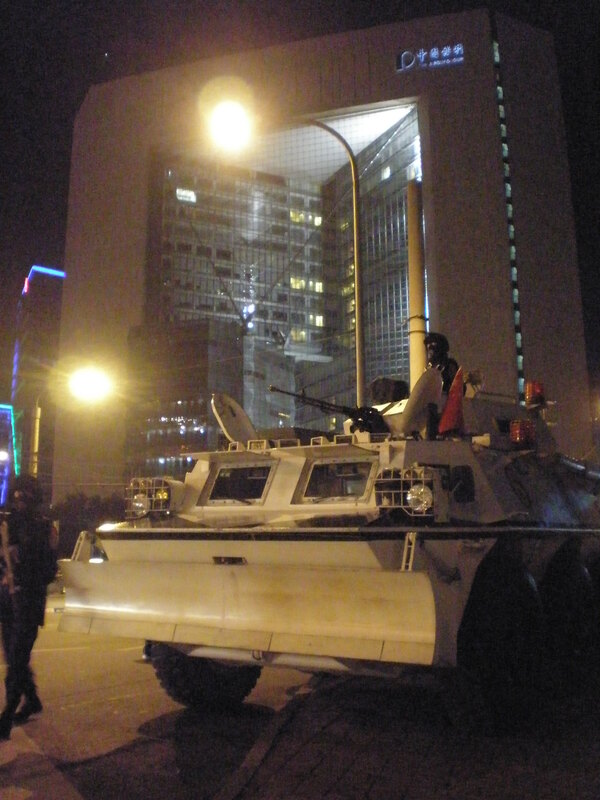 Photo taken at Dongsishitiao Subway, Beijing in September 2009 (for the weeks running up to the militar parade this tanks like this were stationed around the city). … it’s a fairly unusual sight.